The American Psychiatric Association’s “Diagnostic and Statistical Manual on Mental Disorder” (DSM) is considered the “bible” among mental-health professionals. The purpose of the DSM is to provide a standard set of criteria on which to base diagnoses, so there is consistency across the country regarding mental-illness diagnoses. The manual also determines what the type and duration of care individuals with specific illnesses require. Doctors, insurance companies, schools, and government agencies all look to the DSM for a variety of purposes. The DSM, as important as is it, is not updated all that often. The last substantive change to the diagnosis criteria was in 1994, with the DSM-IV. 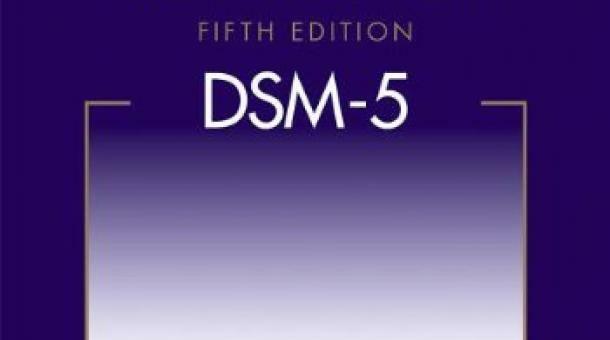 However, just last month, the long-awaited fifth version of the DSM was released, the DSM-V. Chief among the differences between the DSM-IV and the DSM-V is the treatment and definition of many mental health issues. The new version of the DSM is said to broaden the definition for many mental health issues. For example, there were some big changes to the clinical definition of ADHD. It used to be that a child must be 12 to be diagnosed with ADHD; now children as young as 7 may be diagnosed. Also, those over the age of 17 need only meet 5 criteria rather than the 6 that were required before. There were also significant changes to the clinical diagnosis for depression and autism, making the diagnosis process more nuanced and adding sub-categories that were previously unavailable. The DSM-V is not without its critics. Some take issue with the “creation” of new diagnosis not found in previous editions. For instance, “binge eating,” “hoarding disorder,” and “hyper sexual disorder,” all have clinical definitions in the DSM-V. Others argue that the DSM-V over diagnoses, especially in regard to mental diseases among children. However, some suggest that the “over diagnosis” issue is more of a problem with the diagnosing doctor than with the DSM definitions. Regardless, the DSM writers were not unaware of the over diagnosis problem and took some measures to prevent it. For instance, by including the new disorder, “disruptive mood dysregulation disorder,” the DSM writers hope to prevent children from incorrectly being diagnosed with bipolar disorder, a diagnosis that might come with both social stigma and unneeded medication. Note that not all disorders listed in the DSM will make an individual eligible for disability benefits. However, depending on the disorder and its severity, you might qualify for some level of benefits. If you suffer from a mental-health disorder and think you may qualify for disability benefits, contact me Indiana disability law attorney. I can help you determine if you are in fact eligible and, if you are, help you navigate your way through the system.